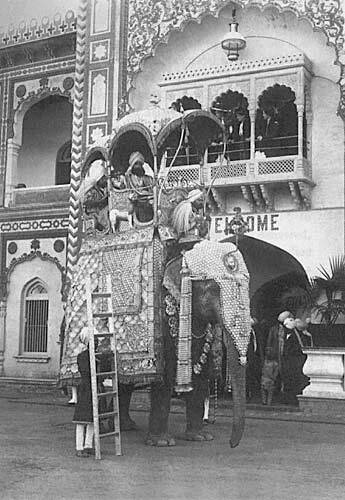 "My first introduction to a Rajah in the Punjab was, in a measure, due to the Delhi Durbar . The Maharajah of Jind dropped into my studio to enquire about Durbar photographs. I had on view an enlargement - in which Lord and Lady Curzon figured in a procession on arrival at Delhi. His Highness took the framed picture away, and from that time I had the pleasure of being called to his State, especially once a year, to photograph his daughter the Princess on the occasion of her birthday." (Forty Years, pg. 65).